Founded in 1851 as a four-cabin outpost named "New York Pretty-Soon," Seattle has long struggled with an identity crisis. From a nearly lawless port, to a sedate, conventional company town defined by Boeing Aircraft, to an accessible paradise for artists and recovering urbanites, Seattle repeatedly tried and failed to become bigger, wealthier, more like "major league" cities. In the late 1980s, Seattle's time suddenly arrived. Microsoft, Amazon, Starbucks, McCaw Cellular/AT&T Wireless, and dozens of local dot.com startups began to drive a booming national economy. Seattle became a city of instant millionaires and brand name shopping, skyscrapers and sports franchises-- the place everyone wanted to visit, topping lists of America's "most desirable" cities. But with such wealth came consequences: overdevelopment, paralyzing traffic, racial and class divisions, and a street population of teenagers discarded by the new culture, whose rage and disaffection fueled the rise of bands such as Nirvana. 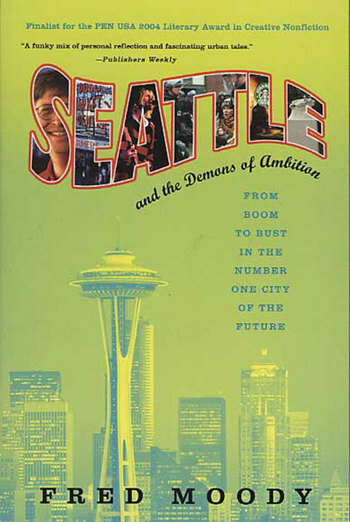 Striving to reach its ambitions, Seattle seemed to be losing the struggle for its soul. And when it hosted the 1999 World Trade Organization convention, the city's conflicted personalities clashed, as violent riots by residents and a coalition of protestors left the downtown decimated and the nation transfixed by the spectacle of globalization gone wrong. 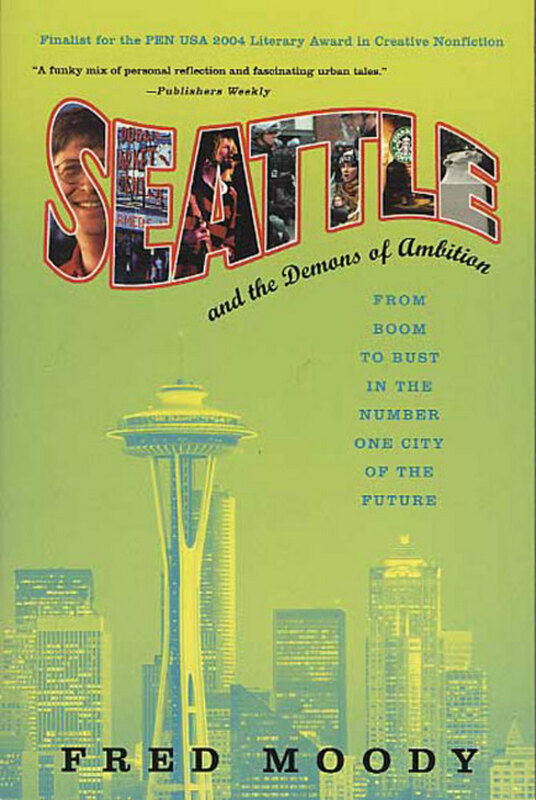 In Seattle and the Demons of Ambition, Fred Moody uses his own background as a native son, along with wide-ranging encounters with others, to trace the growing pains of the city he loves. Profiling Bill Gates and never-quite-champion football coach Chuck Knox, a pair of ambitious entrepreneurs and a homeless sculptor once profiled in the New Yorker, grunge music superstars and the preyed-upon children of the documentary "Streetwise," Moody offers a dramatic, entertaining, and insightful portrait of the city that defined economic and technological change in the America of the 1990s. Fred Moody was raised in the Pacific Northwest. The former managing editor of Seattle Weekly, his journalism has appeared in numerous publications, including The New York Times and The Wall Street Journal. His previous books include I Sing the Body Electronic and The Visionary Position. He and his wife, Anne, have three daughters and live on an island in Puget Sound, near Seattle.